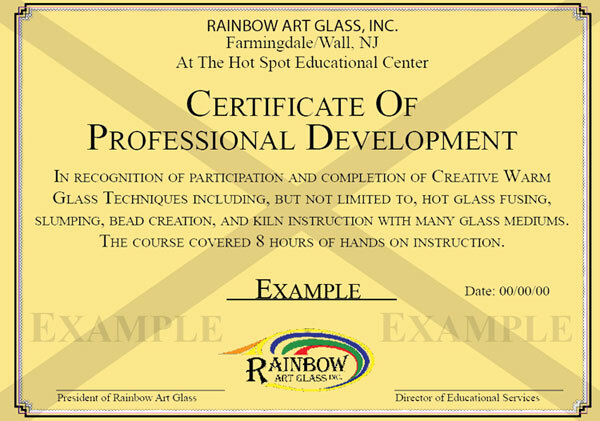 Rainbow Art Glass, Inc. is a proud sponsor of the Art Educator’s of New Jersey Conference. 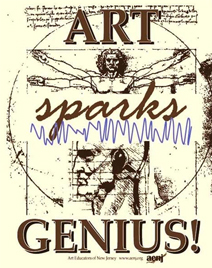 We attend with a booth on a yearly basis to exhibit the workshops we offer for art instructors and students in glass mediums. We display finished projects by students and instructors to give attendees ideas on how they can incorporate glass into their art programs and/or field trips for their students to our classroom. Come stop by our booth for demos in glass fusing by our staff! 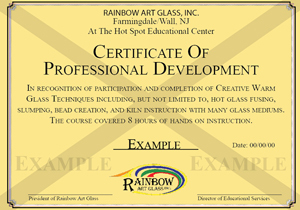 Professional Development Hours – we offer certificates for art instructors who complete courses we offer in glass fusing, slumping, painting, bead making, and others. There are discounts for any AENJ members that attend our classes. Please sign-up for our e-mail list and let us know you are an AENJ member in the notes section.